This Red Halter Neck Maxi Dress is stunning! The sequin detailing is gorgeous and we love the halter neck style. This is a perfect formal maxi dress for special occasions! Hope B. Reviewed by Hope B.
I absolutely love this dress!! It fits perfect, shipping was fast, and I can not wait for Mardi Gras to wear it!! Thank Y’all!!! 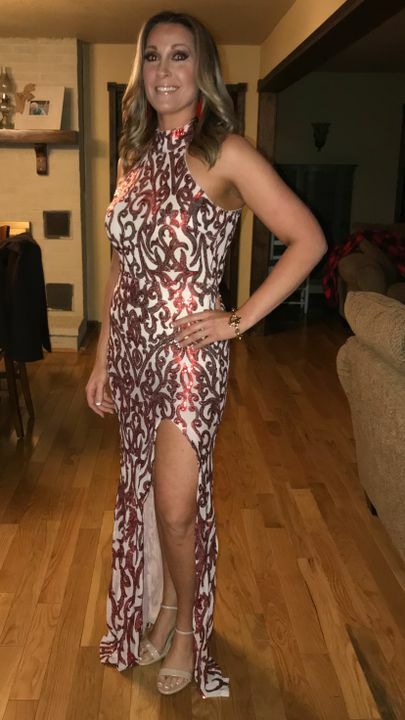 This dress was perfect for the heart ball that I attended! Fits true to size and so very flattering! I received so many compliments!! !